Cattle nutrient requirements can vary by season and stage of production – and now is a great time to evaluate your cattle mineral program and map out a plan to maximize impact. While minerals are a relatively small portion of the diet, they control many vital functions in cattle and impact everything from cattle reproductive and nervous systems, to feed efficiency and overall herd health. That’s why it’s so important to make sure the mineral needs of your cattle are being met year-round. Mineral needs throughout the year can be impacted by a variety of factors, including cattle production stage and ration nutrient composition. Start your plan by considering how these factors change in your herd during the year. Production stages such as gestation, calving, weaning and breeding are especially important. During gestation and calving it’s critical to have a good mineral to get cattle through that stress period. Cows that are mineral deficient can create a calf that is deficient at birth, which can result in ‘weak calf syndrome,’ loss of vigor or scours. At weaning, calves need an onboard reserve of minerals in their system as stress is often elevated and feed consumption may decrease temporarily. Bulls have special needs during breeding season – zinc, manganese and Vitamin E help to ensure sperm quality and vitality. Producers should also consider the overall nutrient composition and seasonality of their feedstuffs. For instance, areas with high growth, cool season grasses commonly have a need for higher magnesium in the spring to prevent milk fever or grass tetany. Don’t let the mineral label completely drive your decision making. More is not necessarily better, and it’s important to identify the source of the mineral, not just the concentration. Producers should work with a nutrition consultant or Extension personnel to identify the levels of macro and micro nutrients needed in their herd and compare those nutrients to the amounts available in their rations or forage. Mineral product labels will list concentrations of each nutrient, so calculate anticipated intake and choose a mineral that sufficiently supplies lacking nutrients. Not all sources of minerals are utilized equally. Oxides are virtually unavailable to the animal – forms like chlorides and sulfates are better, and organics or chelates are usually the best. Most oxide formulations are less expensive for manufacturers to include in a product, but they simply aren’t going to have the impact. Finally, consider expected seasonality when choosing a mineral source. During snowy or rainy seasons, water-resistant and weatherized products can provide protection from mineral caking or from wind blowing it away. While planning and choosing a quality mineral source are key, it takes proper management to have an effective mineral program. Producers can encourage or discourage consumption by placing mineral feeders near or away from water sources, and in areas with ample room for access and rotation. Cows can’t tell if they do or don’t need mineral, but they do seek out phosphorus and salt, which can offer management tactics. Salt can be used as a limiting factor, or if the cows are salt deficient, as a driver of intake. Overconsumption of mineral should be regulated. Although it is likely not dangerous, it can be costly. 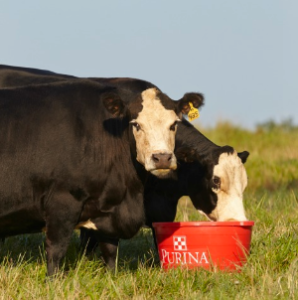 A well-planned mineral program means considering a variety of factors from cattle needs and nutrients, to mineral sources and management strategies — that planning can pay off in the long-run. You might not see changes overnight, but the return on this investment can be long-term. More cows bred back, less calf health challenges and any number of factors could result from a well thought out mineral strategy. Planning a strategy now can pay-off later on. Choosing a mineral can be challenging. Learn tips to help you select a mineral. This entry was posted on Wednesday, January 10th, 2018 at 1:44 pm	and is filed under News & Updates. You can follow any responses to this entry through the RSS 2.0 feed. Both comments and pings are currently closed.